Friend and fab photog Cameron, was in NYC for work, and we had all intentions of meeting up for a wee catch up, but it didn't quite work out. 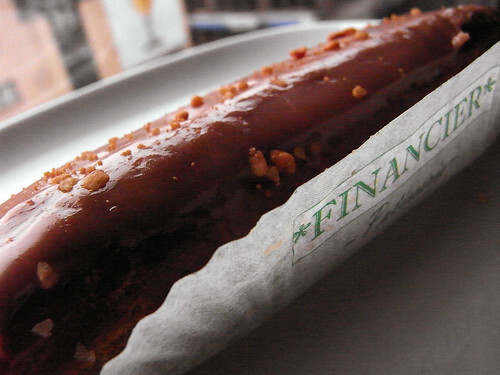 However, it turns out he stopped by the office while we were out and so kindly left us a tasty Nutella eclair from Financier hidden in the fire escape. How sweet is that! And since there's no way he would have known our enthusiasm for Financier, I knew Maggie who had coffee with him earlier, had something to do with it. Thanks guys!